John I. Coleman, 74, of Kittanning, PA, passed away Tuesday, February 26, 2019 at Armstrong County Memorial Hospital. John was born August 22, 1944 in Punxsutawney, PA to Dennis W. and Pauline Emma (Blose) Coleman. John graduated from Dayton High School in 1963 then honorably served in the U.S. Army. For 30 years, he worked as a coal miner, retiring in 2000 from Consol Energy. John was a proud lifetime member of the United Mine Workers of America. With his natural artistic talent he created many beautiful wood carvings, furniture, and one of a kind inventions. He was locally known as the "fix it man". 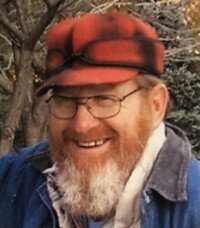 John spent many hours bicycling, hiking in the woods, and fishing along with his beloved Susie. The outdoors was where he found solitude and renewal of spirit and was most at peace in God's Creation. His memory will be cherished by his loving wife, Patricia (Unger) Coleman whom he married May 20, 1972; two brothers, Harold R. Coleman and wife, Lori, of Morrison, CO, and James H. Coleman and wife, Linda, of Kittanning; two sisters, Mildred Kirkpatrick of New Park, PA, and Phyllis Atkins and husband, Lee, of Palo Alto, CA; a sister-in-law, Barbara Pence and husband, Larry, of Pulaski, PA; fourteen nieces and nephews; and numerous great-nieces and great-nephews. John was preceded in death by his parents; and a brother, Dennis Coleman, Jr.
Family will receive friends from 10 a.m. until 12 p.m. on Friday, March 1, 2019 at Bauer-Bly Funeral Home, Inc., 125 East Main St., Dayton, PA, where funeral services will be held at noon with the Rev. Samuel Bungo officiating. Interment will be in Rimer Hill Cemetery, Templeton, PA. Contributions made by made in John's memory to Orphans of the Storm, PO Box 838, Kittanning, PA 16201, or the National Wildlife Federation, PO Box 1583, Merrifield, VA 22116, www.nwf.org.